The field of corporate finance, shockingly enough, deals with the finances of a corporation. As a corporate financial analyst, you assess the sources of funding and capital structures of an organization before making recommendations about how to allocate financial resources. 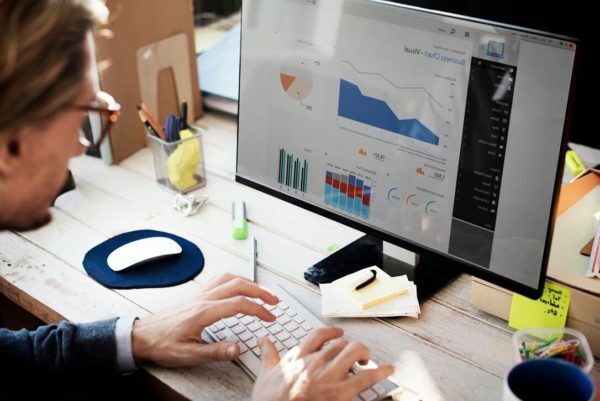 This entails working with balance sheets, financial statements, and expenses in order to search for innovative and efficient ways to increase revenue. Still interested? Here’s a quick list of things you should expect if you decide to pursue a career in corporate finance. As is typical in almost any finance function, by working in corporate finance you can be sure that you’ll be spending a lot of “quality time” at the office, especially when you’re first starting out. A survey found that approximately one in three corporate financial analysts reported working at least 70 hours per week. Though they did also report travelling less and receiving more time off than their investment banking counterparts, who typically work anywhere between 80 and 100 hours/week. So while corporate finance might be a little less intense than IBanking, you can be sure it comes with its own set of struggles. 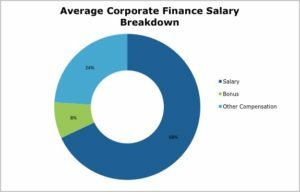 Those long hours certainly do not come without some perks of course, with entry level corporate finance analysts making a starting base salary of about $60-70k, compared to the national average of about $45k. This number does not include bonuses or relocation stipends, which as you can see in the chart below, could add a substantial sum to the already higher than average starting salary. Individual companies typically hire their own corporate financial analysts, as opposed to contracting out their work to specialized firms. In fact, some of the largest providers of corporate finance interns are Fortune 500 companies like Google, Amazon, and Microsoft. This also means that since individual organizations hire their own corporate analysts, you can find a corporate finance job in practically any city that headquarters a major corporation, allowing you greater geographical flexibility. Unlike other industries such as consulting, where it’s typical to transition out after a few years of working, most people tend to stay in corporate finance. Some estimates say that about 60% of employees remain in corporate finance, even if they may switch to another firm. At the same time, there is still lots of room for growth and career advancement within the function, with the possibility of even becoming the CFO, Director of Finance, Controller, or even CEO. Based on TransparentCareer data we’ve noticed a trend in both the full-time and internship hiring calendars. Typically, offers for internships peak around February, with the most full-time offers are being handed out mostly around November. Typically recruiting for a specific positions begins 2-3 months before offers are handed out, meaning that if you’re looking for a full-time offer you should be prepared to start searching as soon as you get back to campus from summer break, and if you’re looking for an internship, keep your eyes peeled during the month before winter holidays. Disclaimer, this data is for MBAs and timelines for different companies throughout the country may have different deadlines, but this is data is representative of the industry, so be sure to stay on top of any looming application cycles. If you need additional help making sure your application is perfect for the coming recruiting season, check out our additional guides on how to perfect your resume and cover letters. Still not sure which industry is for you? Fear not, sign up for free to get more industry data, as well as data relating to compensation and career navigation, all tailored specifically for you! Questions or comments? We love hearing from you! Reach out.